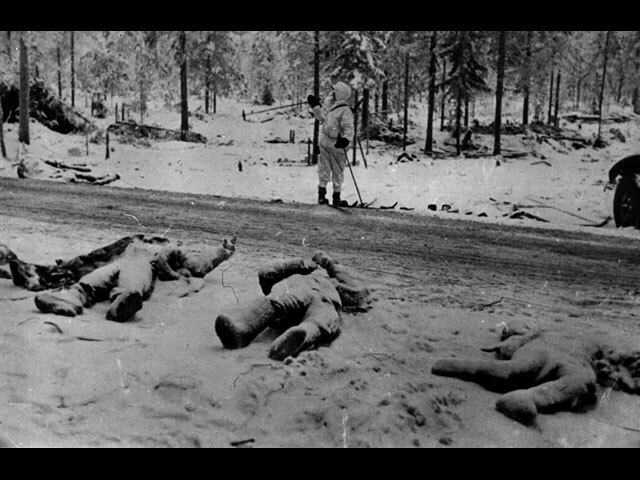 Dead Soviet soldiers in Suomussalmi after the battle - abandoned by their comrades. Their dark uniforms still stand out in the snow. Winter War: General Stern has been brought west from the Soviet Far Eastern Army on 30 December 1939 to direct operations north of Lake Ladoga. Winter War Army Operations: The Finnish 9th Division has been pursuing the fleeing Soviets from Suomussalmi. A platoon under Captain Kuistio embarks in two trucks and manages to catch the tail end of the 4 kilometer-long Soviet column at the northern end of Lake Kiantajärvi. There is nowhere to hide on the ice, and Kuistio and his men kill another 500 Soviet men using 4 machine guns, 1 twin antiaircraft- machine gun and various sub-machine guns. In addition, the Finnish air force (Bristol Blenheim Mk 1 bombers) and Finnish artillery blast away at the fleeing Soviets, killing some outright and sending others through holes in the ice. Total losses for the Soviet 163rd Rifle Division are estimated at 15,000, versus 420 Finnish dead or missing along with 600 wounded. In addition, the local Finnish troops get their fill of rifles ammunition and machine guns which they can put to immediate use without headquarters ever knowing about it. The Soviet 44th Rifle Division on the Raate road is still intact, but their standard Red Army 1902 model Moisin-Nagant 7.62 mm rifles are are freezing in the extreme cold (gun-oil can freeze). In addition, most of their vehicle engines have seized because there is not enough fuel to keep them running through the frigid days and nights. 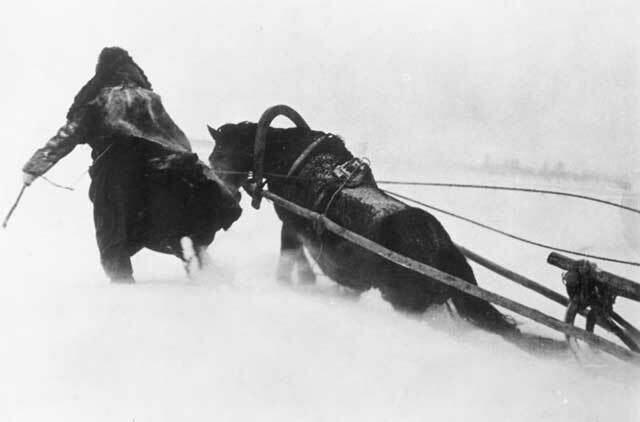 This means the men and their animals are stuck - and with few ways to warm up. Thus, the Soviets are immobile and freezing. If they can be defeated, there will plenty of more booty to be had. Winter War Air Operations: Soviet bombers attack Hango and drop about 60 bombs. Winter War Naval Operations: Soviet battleship Oktyabrskaya Revolutsiya and destroyers bombard Finnish shore batteries at Saarenpaa. Battle of the Atlantic: In a distant echo of the Admiral Graf Spee drama, the Uruguayan government gives the German freighter Tacoma 24 hours to leave Montevideo. It believes the freighter was assisting the German pocket battleship (including embarking her crew after she was scuttled) and thus is a military vessel. Convoy OA 63 GF departs from Southend, and Convoy OB 63 departs from Liverpool. Indochina: In Hanoi, Wang Chingwei signs an agreement with the Japanese. Wang is a former foreign minister of the Kuomintang who has left China because he lost a power battle with Chiang Kai-shek. Wang is convinced that the Nationalist Chinese cannot beat the Japanese, and thus he is agreeing to set up a rival Nationalist government under Japanese overlordship. China: The Nationalist Chinese Air Force, which Claire Chennault has been working on, sends 40 fighters into the air over Liuchow. They encounter 13 Japanese Type 96 fighters. The Chinese apparently need more practice, because they lose 14 planes to none by the Japanese. In the continuing Battle of South Kwangsi, the Japanese 5th Infantry Division escapes from Kunlunkuan during the night. Japanese 21st Army captures Wongyuan in the Chinese 4th War Area. 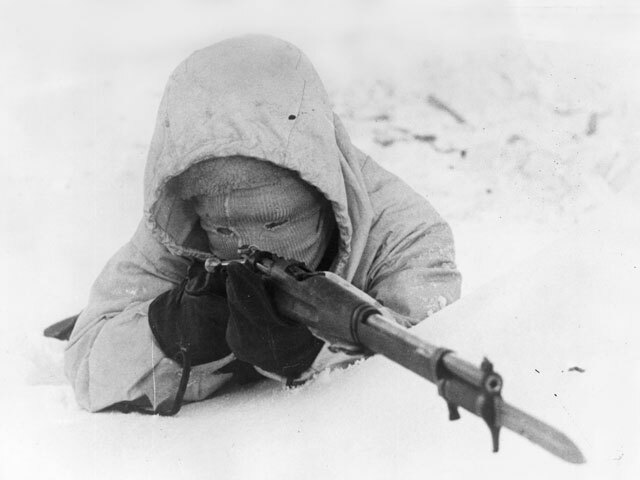 The Finns were prepared for the cold... and for hand-to-hand combat.